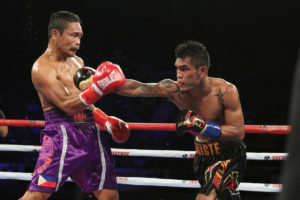 The older and smaller Donnie ‘Ahas’ Nietes used his boxing craftiness to break down Aston Palicte who was on survival mode in the last round during their World Boxing Organization (WBO) championship fight on Saturday, September 8, at The Forum in Inglewood, California on ‘Superfly 3’ televised on HBO. However the scores of the judges told a different story as Robert Hoyle had it 116 to 112 for Palicte while Daniel Sandoval had it 118 to 110 for Nietes. The third judge Max de Luca saw it 114-114 draw to end up with neither Filipino boxer get to hold the WBO world super flyweight crown. Philboxing had it 117 to 111 for Nietes. 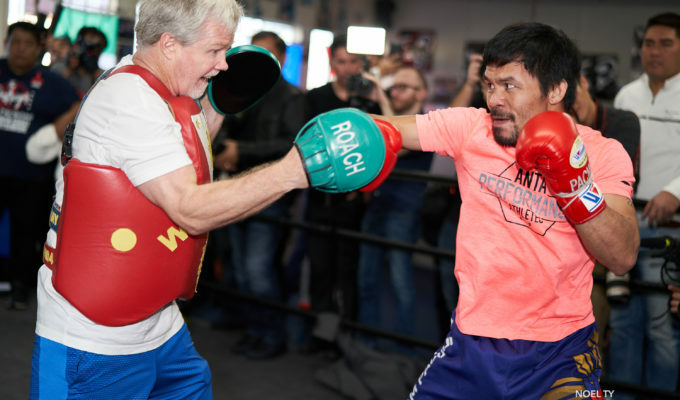 HBO unofficial judge Harold Lederman also had it 117 to 111 for Nietes. 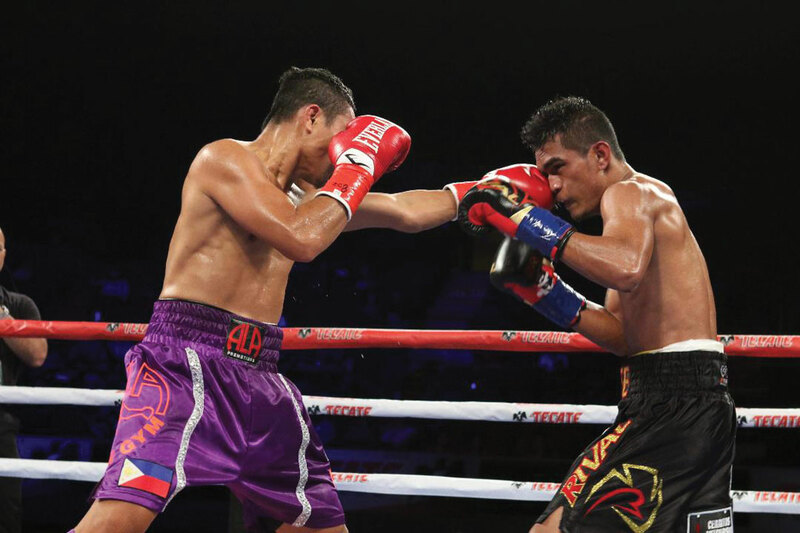 Palicte (24-2-1, 20KOs) used his longer reach and power punches to try to impose his will on the smaller Nietes (41-1-5, 23KOs) but the wily veteran used subtle moves to continuously land clean shots against Palicte. Compubox numbers had Nietes ahead on the punch stats. 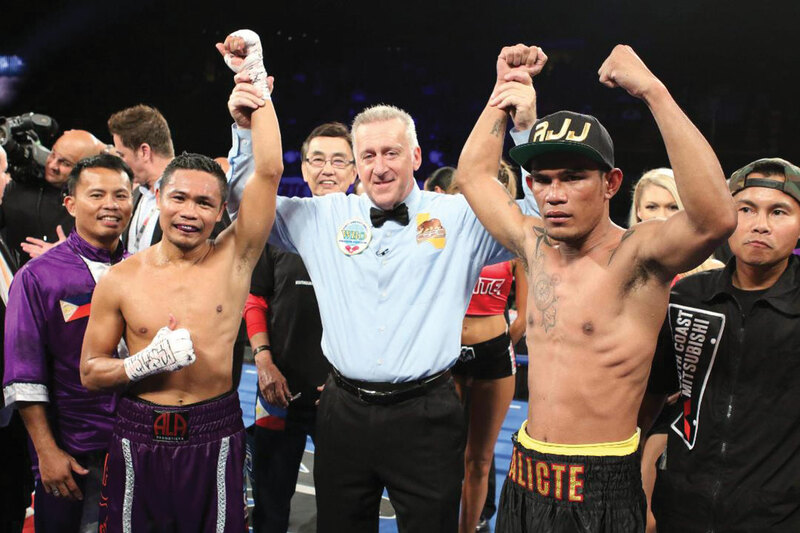 Nietes landed 194 of 523 total punches (37 percent) while Palicte connected on 124 of 830 total punches (15 percent).